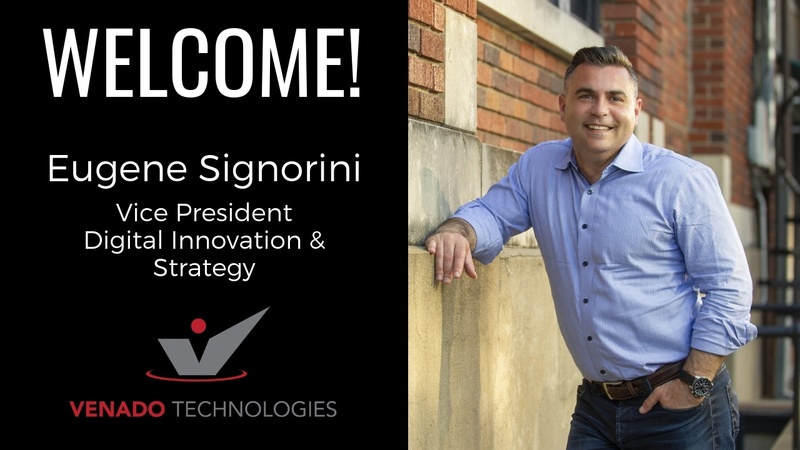 Venado is pleased to announce that Eugene Signorini has joined the executive team as VP of Digital Innovation & Strategy. Gene brings more than 20 years of digital and emerging technology expertise as a strategist, consultant and thought leader to the Venado team and our clients. He most recently led his own research and consulting firm, 42 Kings Advisors, and prior served as IoT Practice Lead at Enterprise Strategy Group, VP of Mobile Insights at Mobiquity, and SVP/Head of Research at Yankee Group. Over the past year, Gene has been working with founding partners Justin Lake and Ralph Hubregsen on delivering client engagements and shaping our growth strategy. He will continue to play a critical role in helping our clients bridge the gap between their business operations leaders and technology teams to drive business outcomes. Additionally, Gene will contribute to our thought leadership on innovation, emerging tech, and the challenges enterprises face in balancing business operations needs with IT execution. Learn more about Gene here.